DANI Naturals is a Bend locals' favorite! This line of all-natural body care products includes body lotion, body wash, glycerin-based sugar scrubs, and room-scenting soy candles. All products are petroleum-free and paraben-free, with NO artificial colors, dyes, animal by-products, or sodium or ammonia laurel/laureth sulfates. 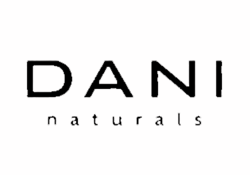 Embrace the essence of nature with products that invigorate, soothe and nourish with DANI Naturals. Made in Bend, Oregon.